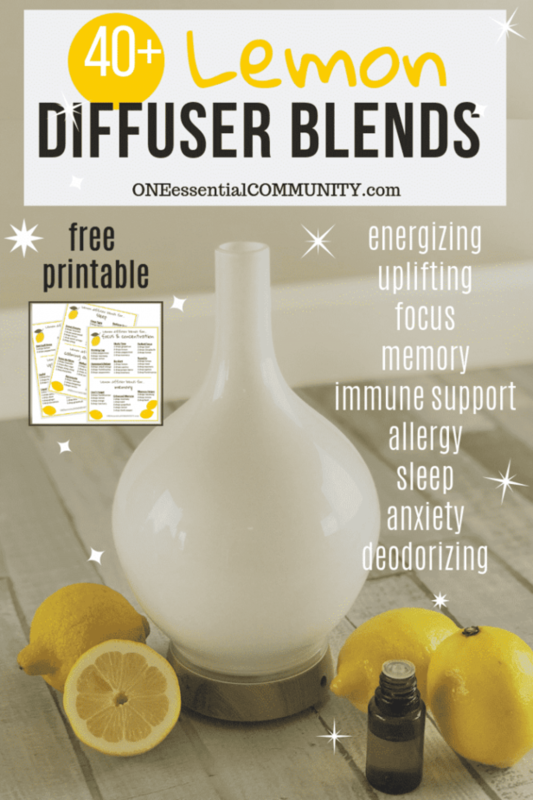 Of course, we diffuse! 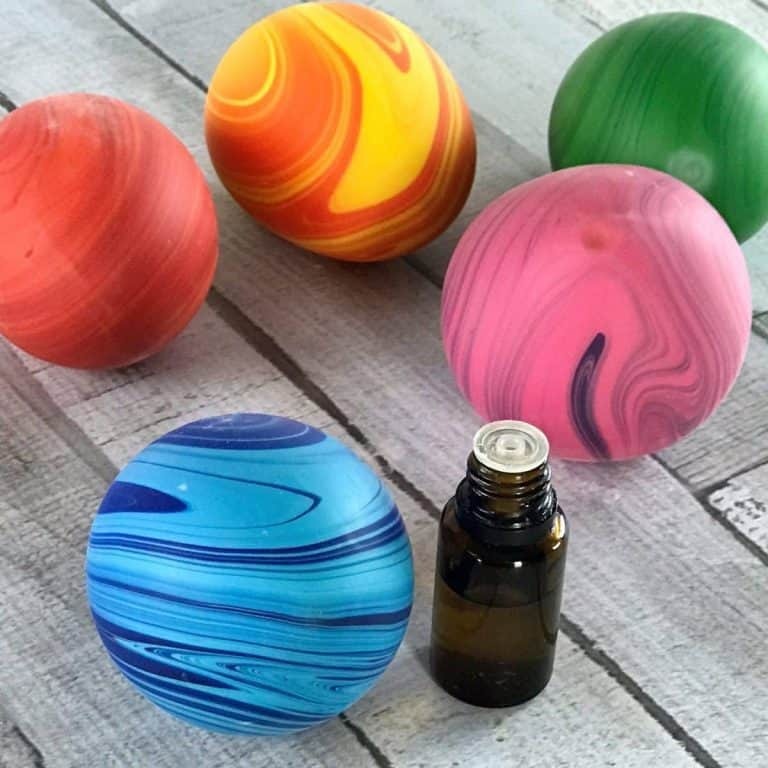 I LOVE the smell of essential oils and their all-natural therapeutic benefits. 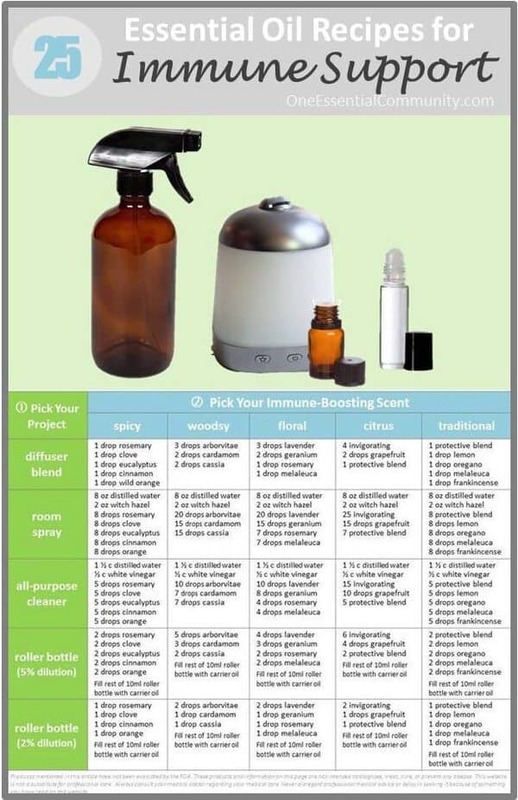 In rooms where I’m not running a diffuser (like a bathroom) we use an essential oil room spray. 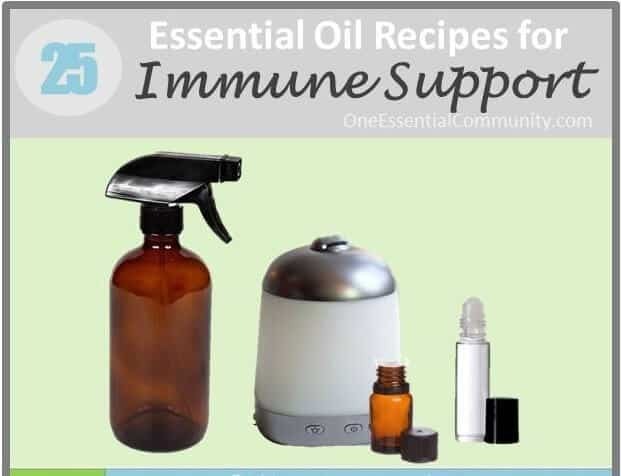 We even use immune-support essential oils in our countertop and bathroom cleaners. 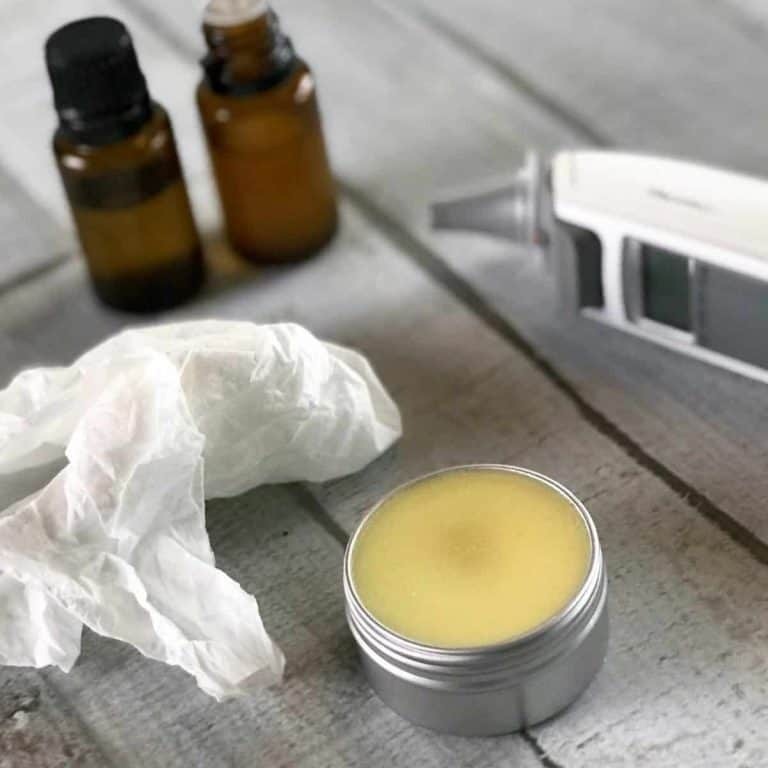 And we use roller bottles to put essential oils (diluted with a carrier oil like fractionated coconut oil) on the bottoms of our feet. 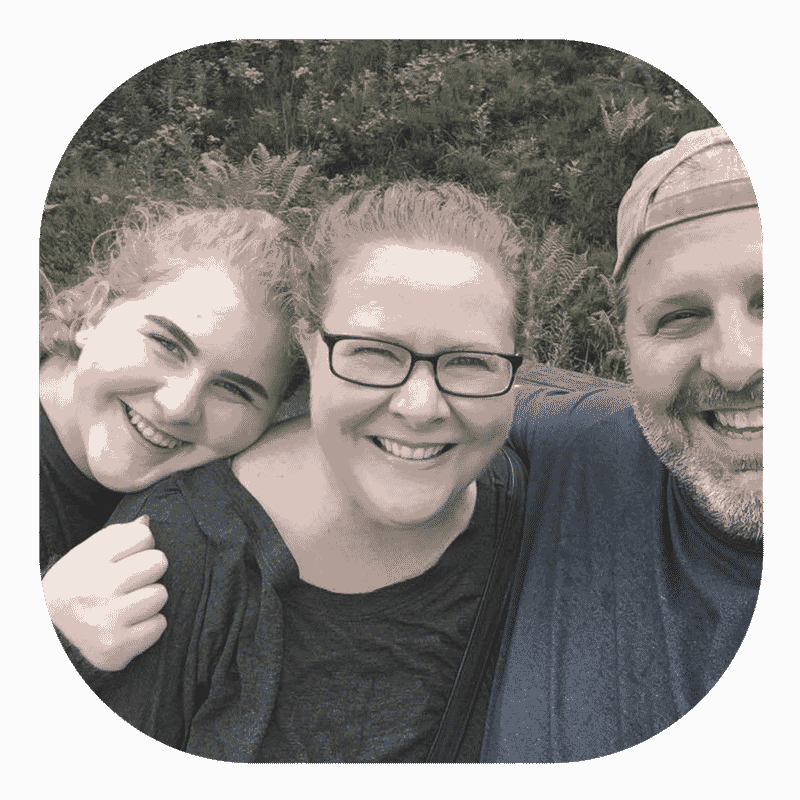 We use a 5% dilution (about 10 drops of essential oil in a 10 ml bottle) for me and my husband and a 2% dilution (about 4 drops of essential oil in 10 ml of carrier oil) for our 13 year old daughter. 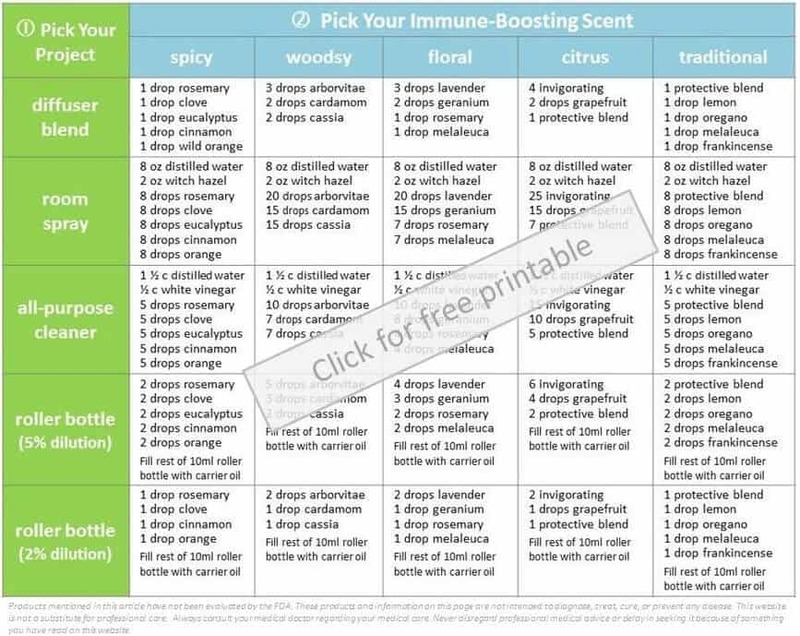 I like variety, so I change up the essential oil blends that we use for immune support. 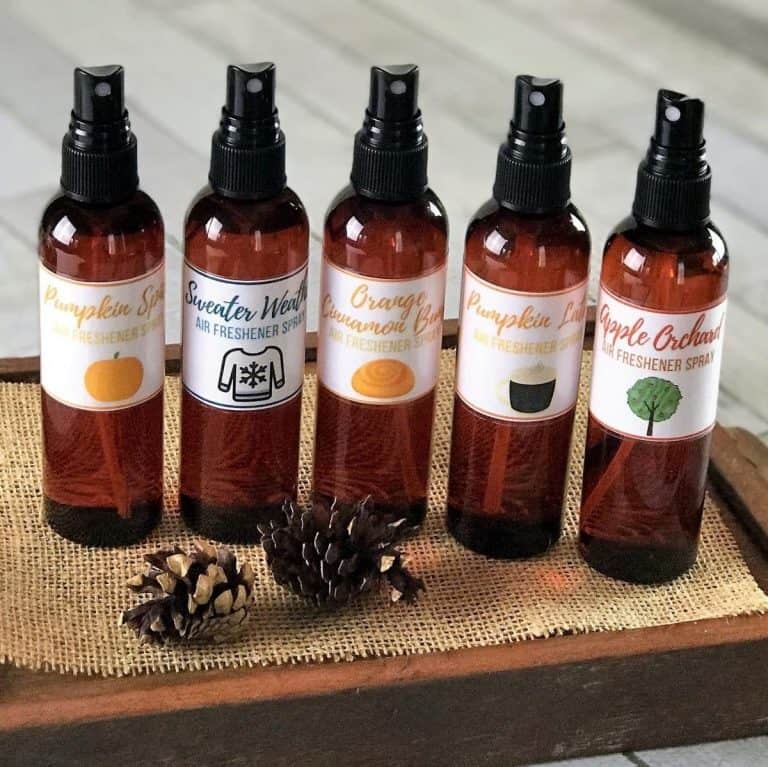 Sometimes I want a spicy blend, other times I want a woodsy scent or a floral scent or a uplifting citrus blend. 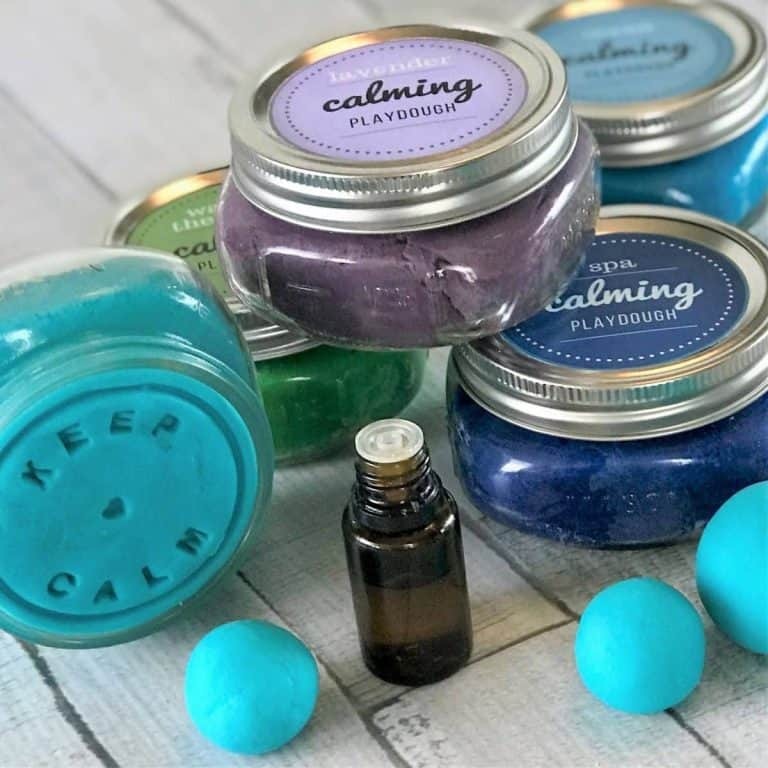 I love that it’s so easy to make a new blend. 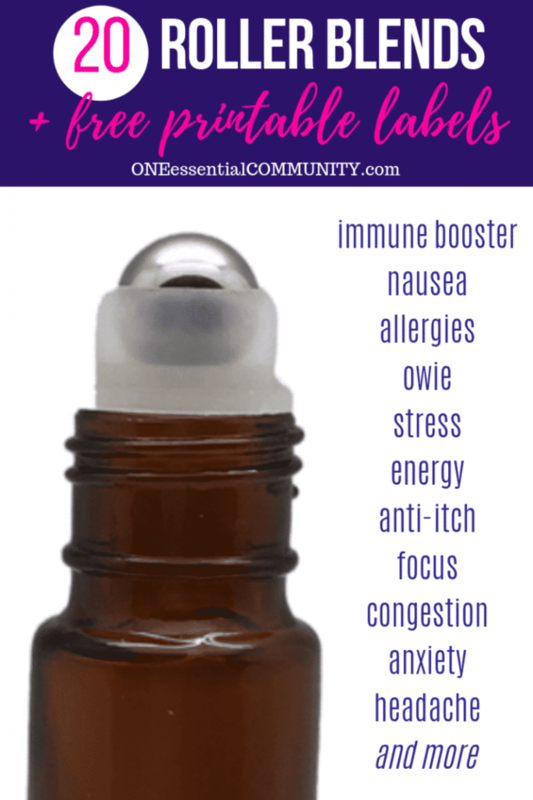 I can get a completely new aroma but still get the same great immune boosting support! 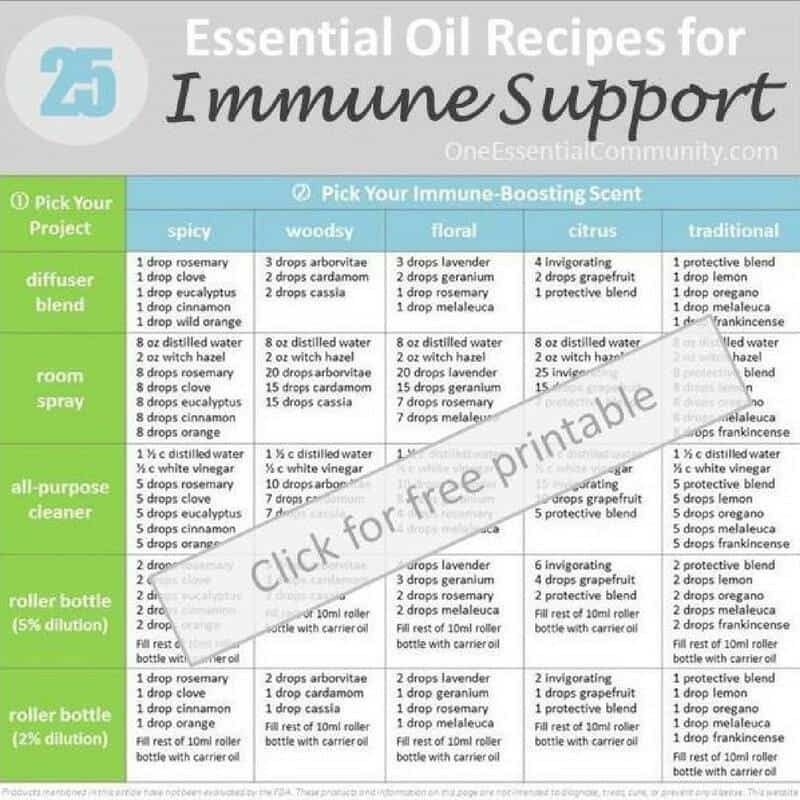 I’m excited to share with you theses 25 recipes for using essential oils for the support of a healthy immune system!! In fact, I was so excited about this article that I put all the recipes into what I hope is a handy and easy to use chart (see below). All 25 recipes are on one printable page.